An embedded tutorial should address an important and timely-relevant topic that is of large interest to the ETS participants. Each tutorial will be given in a session of one-hour time slot. 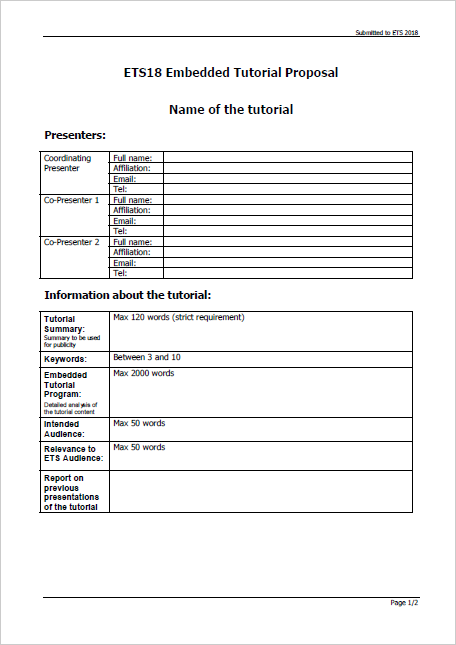 Proposals for embedded tutorials should use a specific template. Click here to download the template. 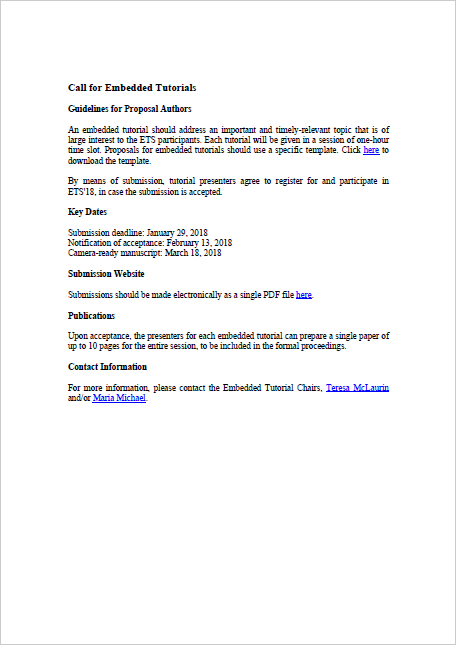 By means of submission, tutorial presenters agree to register for and participate in ETS'18, in case the submission is accepted. Important information about the Camera-ready Submissions can be found here. Submissions should be made electronically as a single PDF file here. Upon acceptance, the presenters for each embedded tutorial can prepare a single paper of up to 10 pages for the entire session, to be included in the formal proceedings. For more information, please contact the Embedded Tutorial Chairs, Teresa McLaurin and/or Maria Michael.